Winner of the prestigious $200,000 Windham-Campbell Prize and the Ockham New Zealand Book Award for Nonfiction. The second title in Giramondo’s ‘Southern Latitudes' series, focusing on innovative fiction and non-fiction by writers of the southern hemisphere. 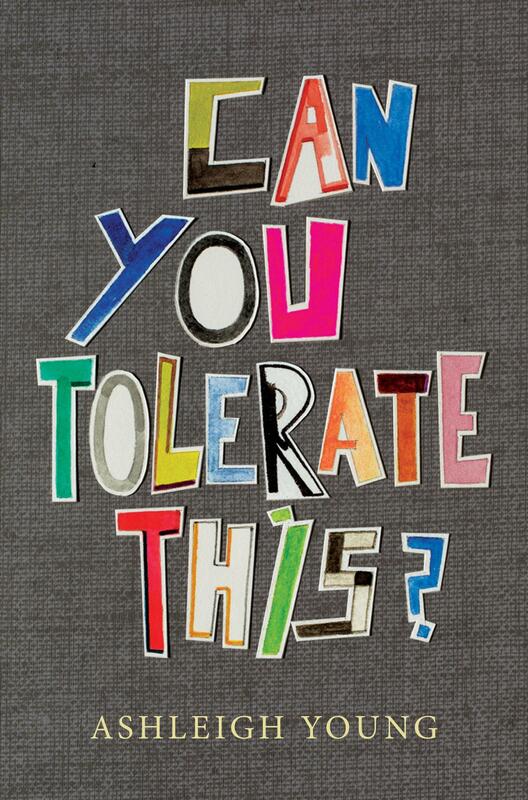 Can You Tolerate This? is a collection of twenty-one personal essays that tell the story of a young woman growing up in a small New Zealand town and making her way as an adult into the wider world. Young roams freely from preoccupation to preoccupation: the music scenes in regional New Zealand, family relations, eccentric characters, the desire for physical transformation - trying to find some measure of clarity amid uncertainty. How to bear each moment of experience: the inconsequential as well as the shattering? Her essays turn on unlikely connections that reveal strange resonances, shifting perspective with a dry, ironic perception and lightness of wit. Ashleigh Young is a voice to fall in love with. Her debut essay collection was recently named a winner of the prestigious Windham–Campbell Prize, and has just now become available in Australia thanks to independent publisher Giramondo. If you’re a fan of beautiful, wistful writing then you won’t be disappointed by this young NZ writer. There is a clarity and freshness to Young’s prose that makes reading this book feel like slipping into cool water on a humid day: it produces that same ease and comfort. Moving into the depths of these essays, you’ll discover sudden drops and strange textures, as unexpected details are revealed. Young depicts the fleeting moments of her life in Te Kuiti. Her subjects range from body hair and Bikram yoga, to rare diseases and hikikomori. In one essay, she takes us inside the childhood home of renowned modernist Katherine Mansfield. In another she unpacks the mythology of a jacket that is a ‘Postman Pat red, an American sunset red, almost the red of the saveloys that our grandmother ladled onto our plates in amaru’. Some pieces are only a couple of pages long, but no less evocative for their brevity. One such essay investigates Young’s decision to ‘begin breathing noisily again’, and is a wry reflection on the ways we unconsciously try to make ourselves invisible, to not open ourselves to the judgement of others. Young’s ability to draw connections between the personal and universal is undeniable. ‘If this were fiction what would happen is…’ Young writes at one point, before detailing the difference between what can be imagined and what actually is. The tension between these two states is ever-present within these essays, and reading this book, I was most strongly reminded of the adult fiction of Finnish author Tove Jansson. Young’s voice is similarly gentle yet mocking, dreamlike yet embedded in domestic reality. Highly recommended.